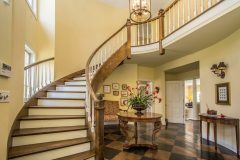 Staircase is usually the first thing you see when you enter a new house. 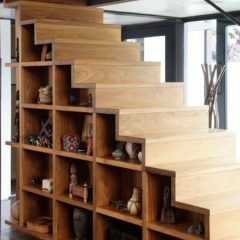 So the design of staircase is the main home feature and can create and feel positivity about home. 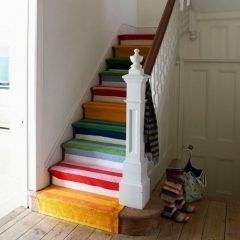 Whether you installing or replacing staircase, or just want to jazz up an existing staircase with some colour, it’s worth thinking about how you and your family use it before you start as this may help you decide if it can work harder for you. 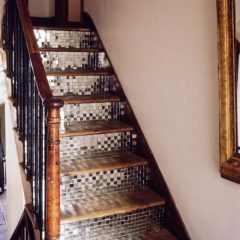 If money for you is not an object, you can go the whole hog and commission a striking glass staircase which is a great way to allow light to get to all floors in a dark house but requires a high level of maintenance. 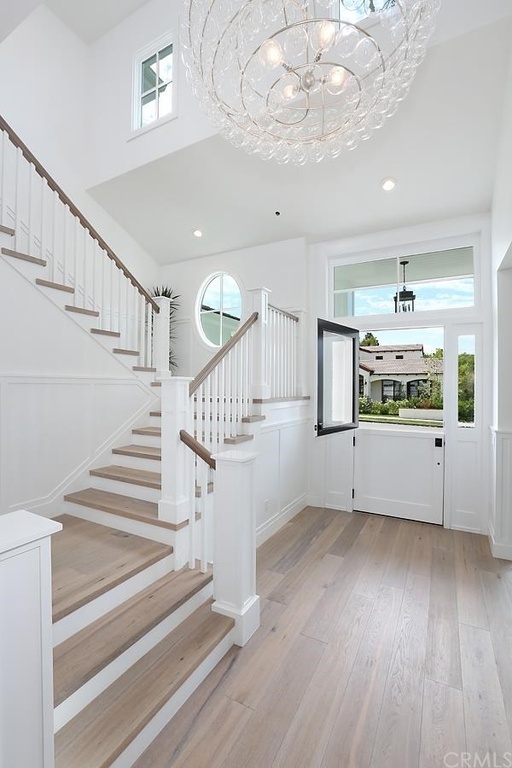 A spiral staircase is always arresting and a great way to gain access to upper levels in a tight space and are now available in all manner of materials and finishes. 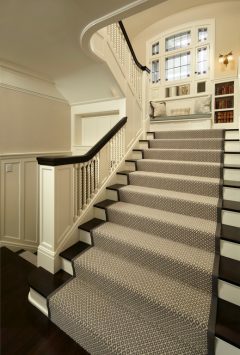 Perhaps the easiest way to make a statement with your staircase is to get creative with hallway wallpaper, paint and textiles. 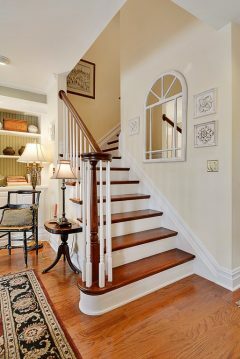 Paint the risers in a descending or ascending rainbow of colours, stick on decorative tiles for instant impact, use wallpaper or old maps to add interest to each tread or paint the whole shebang in a favourite colour. 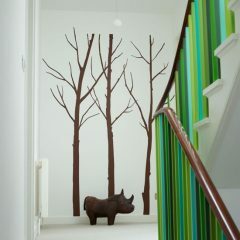 You could paint the spindles and bannister rail to suit your fancy and position wall stickers up the staircase walls or on the facing walls on each half landing. 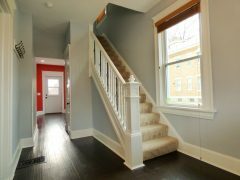 Whatever you decide to do, a revamped staircase will take centrestage and give you a boost every time you use it.